Maybe somebody has blown you away with their kindness or generosity. It might be a birthday or anniversary. It’s possible you’ve screwed up big time. Or perchance you’re trying to coerce favors or manipulate behavior. Then show up with this cake. My chocolate toffee cake is the culinary equivalent to an amusement park. It is completely unnecessary, but boy, is it fun. Years ago, Petey’s nursing colleagues on the weekend shift had a potluck every Sunday night. I took it upon myself to produce the dessert each week. Most of the time it was a pleasure. Every six or eight weeks, though, the idea well would run completely dry. Asking Petey for suggestions would produce only the tilted head, confused look your dog might give you when asked to do calculus. No help there. 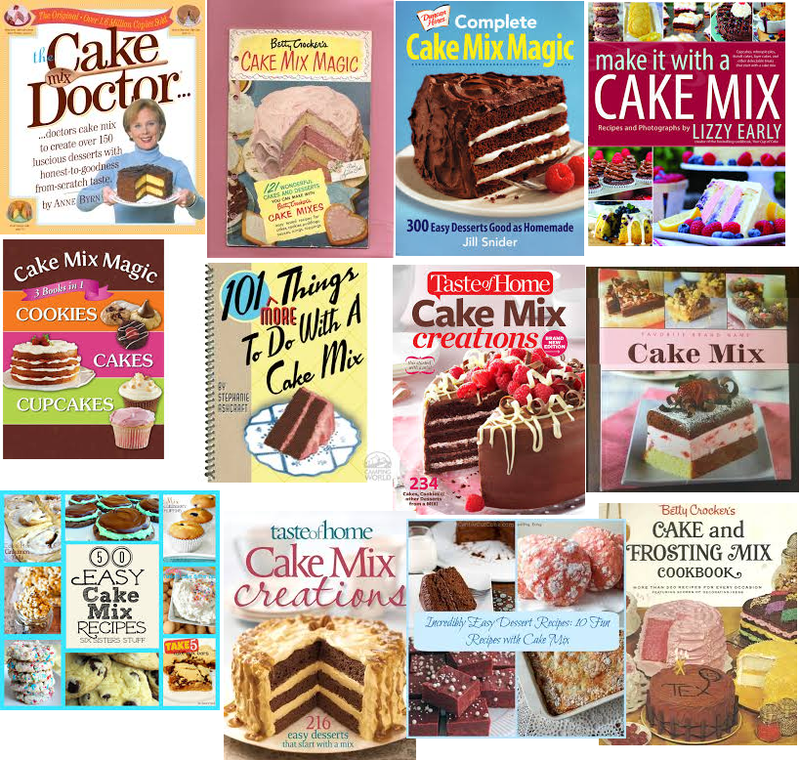 So I put together a collection of dessert cookbooks, some of the cake mix variety. And when Sunday morning would roll around and I didn’t have a plan, I’d thumb through them and usually come up with something. Once you start looking for them, you’ll see them everywhere. One of these cakes was a total fraud. It not only originated with a cake mix, the frosting also came from a can. But it looks and eats like an expensive confection from a trendy patisserie. I took it, gave it some culinary alterations, and it became a big hit with Petey’s co-workers at Duke. 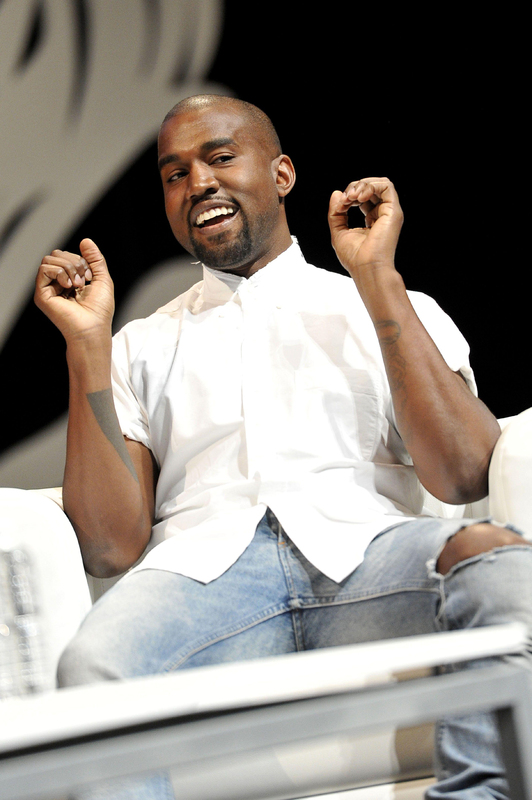 For cake: Preheat oven to 325. Mix butter, cream, brown sugar, and vanilla in saucepan. Cook on medium, stirring occasionally until butter is melted and everything’s well combined. Divide and pour into two ungreased 9-inch round cake pans. Sprinkle ¼ cup almonds in each pan. Carefully spoon half the batter into each pan, without disturbing sauce or almonds. Smooth with a spatula. Bake 35-45 minutes or until toothpick comes out clean, but moist. Cool 10 minutes, then run knife around edges to loosen and turn out onto cooling racks, almond side up. Cool completely. 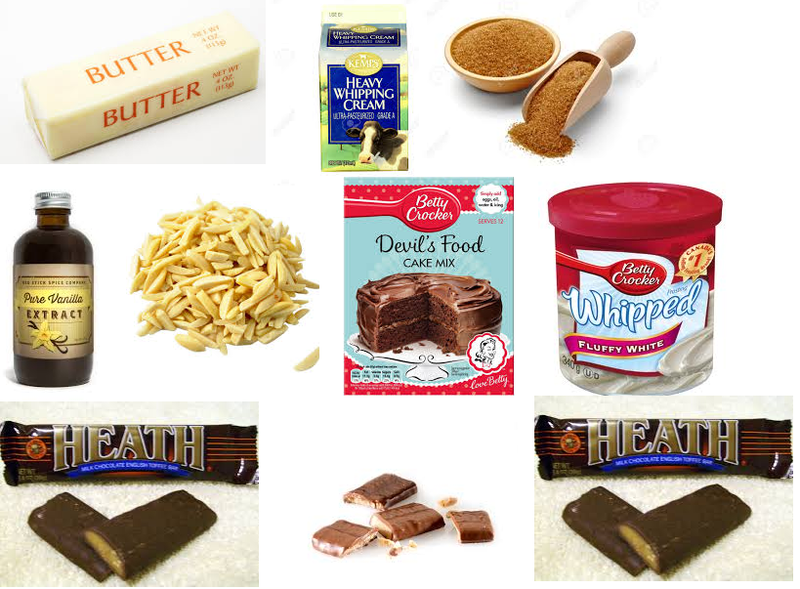 Frosting: Empty cans into bowl and mix in 4 of the chopped candy bars. Frost top of first cake nut side up, place on second layer, nut side up, and thickly frost it. Scatter pieces of the 5th candy bar and final ¼ cup of almonds on top. Cover and refrigerate at least 2 hours but not more than 24 before serving. Store lightly covered in fridge. Don’t be tempted to frost the sides of this cake. First, you want to be able to see the caramel-almond layer. And with everything happening in this cake I can’t believe I’m about to say this, but it would just be too much. This delicious deception is impressive and transformative. I believe this cake has the power to leave Rosie O’Donnell speechless, teach Arnold Schwarzenegger humility, and make Kanye crack a smile.